Home » Will I Get My Flat Stomach Back After UFE? Share the post "Will I Get My Flat Stomach Back After UFE?" Experiencing stomach protrusion and wondering if Uterine Artery Embolization can do the trick to reduce it? In most cases the fibroid (or fibroids) shrink to a size where they are not visible on the outside. It depends, however, on the size of your fibroid(s) and the amount of time it takes for them to shrink. Because UFE does not completely remove the fibroid, there is the possibility that a slight protrusion in the stomach will remain. However, whether or not this will be the case is different for each patient. If this is a main concern for you, you should discuss it with your physician and see if embolization is right for you. 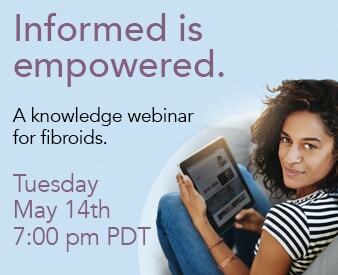 If you would like to learn more about fibroids and embolization, you may give the Fibroid Treatment Collective a call at 866-362-6463 and a qualified health professional will be available to answer all of your standing questions. You will also have the opportunity to schedule a free consultation with Dr. Bruce McLucas so that he can better access your individual health condition or answer any additional questions that you may have.